Self-focus Ultra Dome magnifier glides across the page and illuminates material by gathering light with 4x magnification. 2.5"; gift boxed. 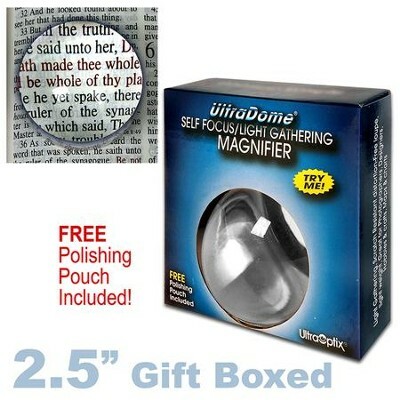 I'm the author/artist and I want to review 2.5 Inch Ultra Dome, 4x Magnifier.